I know this is an old post, but it worked fine for me. I had a similar issue as 73touring that I was able to resolve. 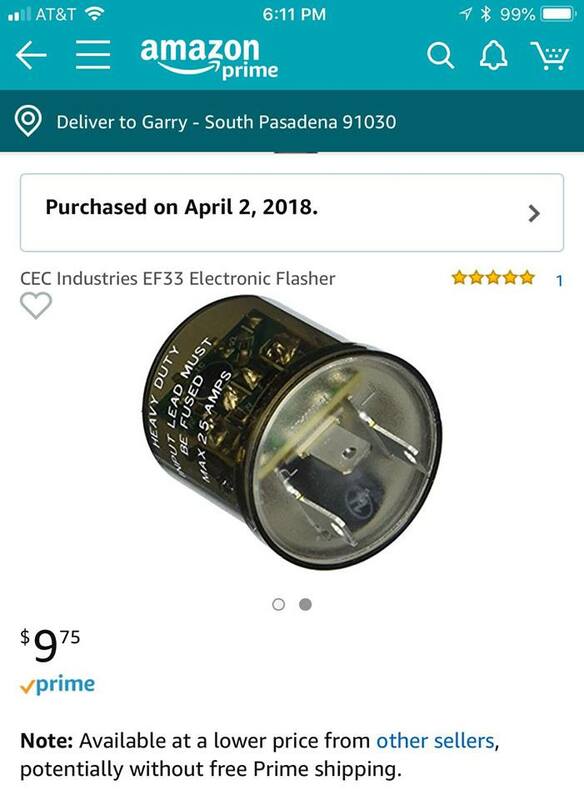 I had trouble finding the EFL 300 mentioned above so I went into my local O'Reilly auto parts store to see if they had a flasher that would work. Their system pointed me to a 3-prong flasher with terminals labeled "+", "-", "L". 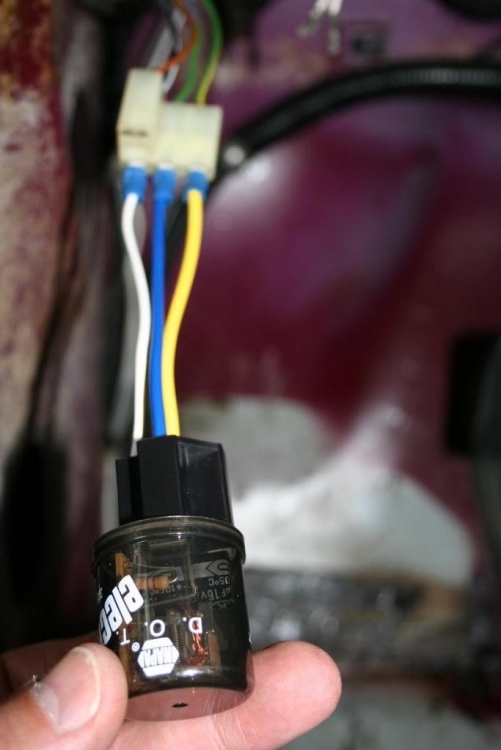 I bought the flasher and tried to make it work to no avail... no matter which combination of three wires were plugged into the leads, the dash indicator never worked (although the flashers themselves were functional). 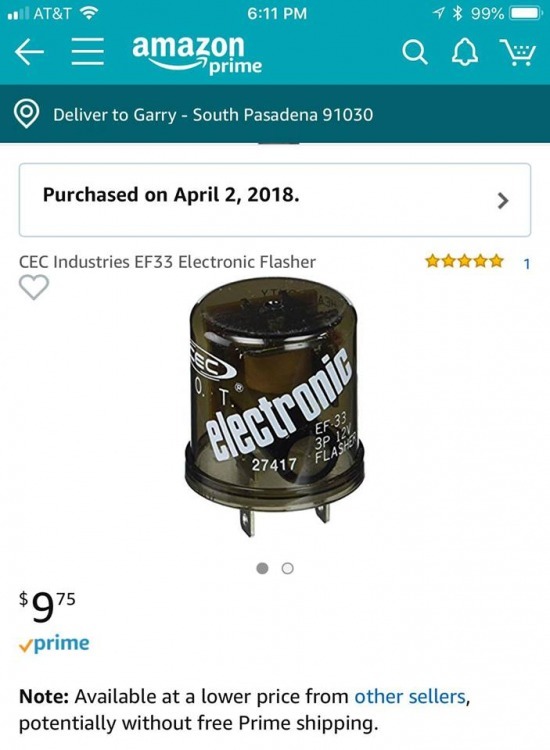 I returned the unit, did some more sleuthing online, and found www.memotronics.com where I ordered an EF33 flasher unit, which has terminals "X", "P", "L". Plugged it in as specified above and it works like a champ. @bahlvin: Did you buy the EF33 or the EF33H from memotronics? 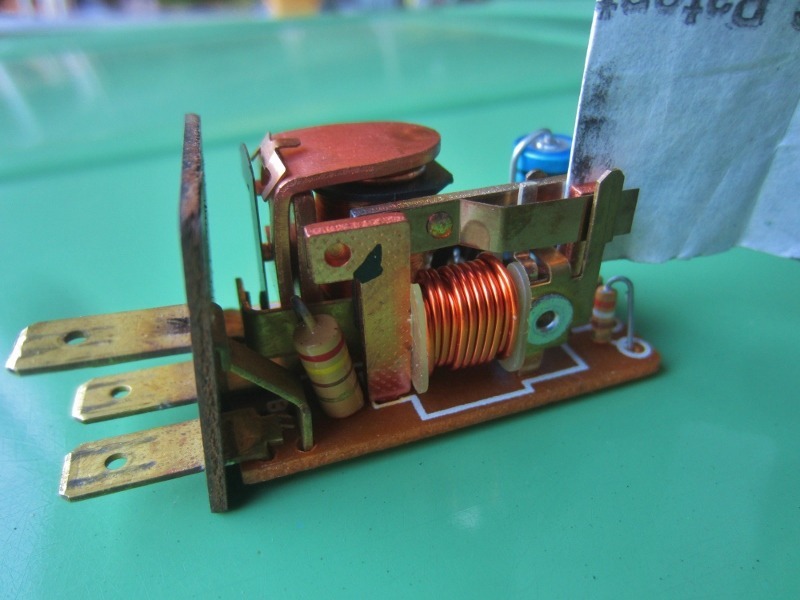 was it as simple as just plugging in to replace the old relay? The old guy is still around (and still has his 02), if anyone has any questions about this FAQ. I am sure there are products available that are equivalent to the "EFL 300" that I used. So glad for this posting! I just performed this swap, minus the pigtail. 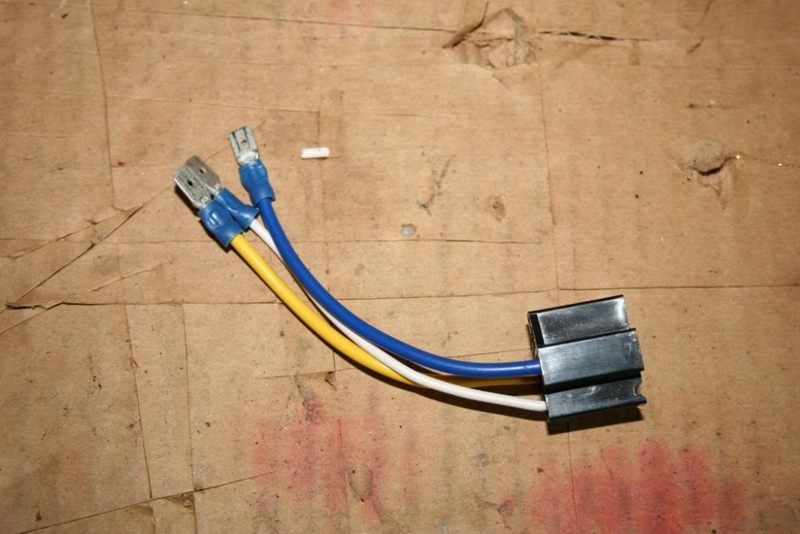 Just three short equal lengths of 16g wire with male spade disconnects on one side and female on the other. Thanks for saving me time and money! This is what is so great about this site. 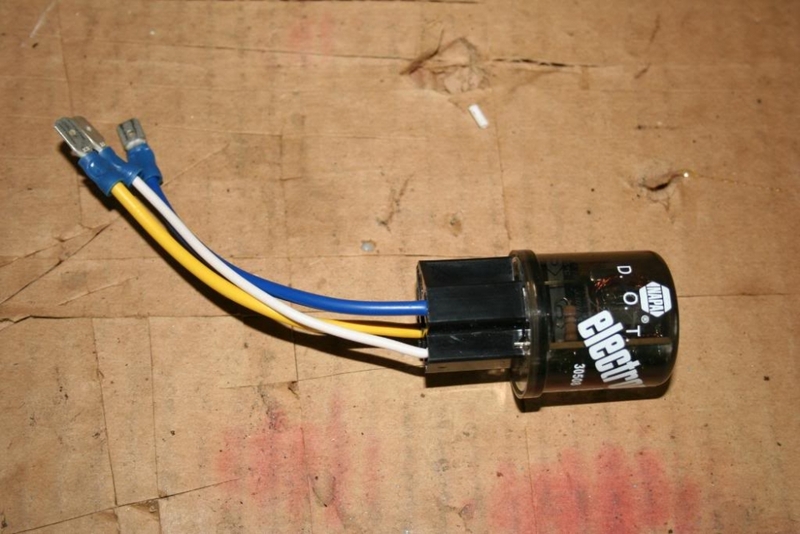 I typed in "turn signal indicator light stays on", and found this solution, which worked great. 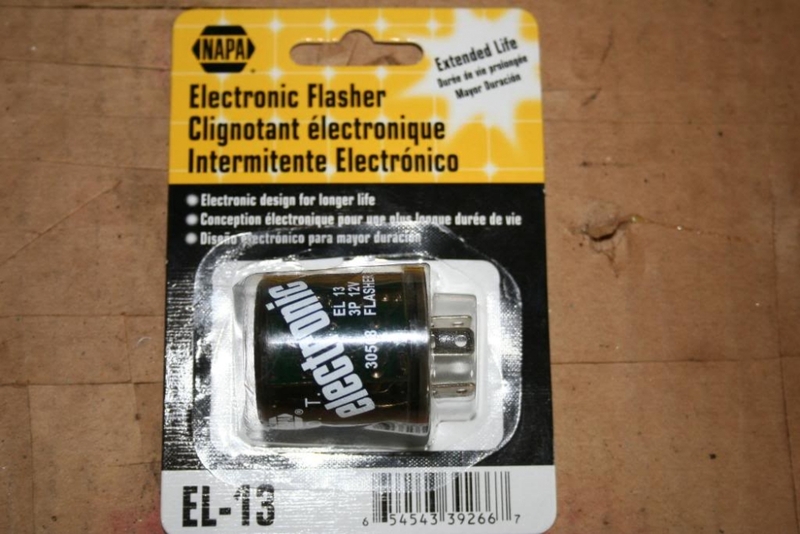 I bought the NAPA EL-13 flasher unit pictured, and everything worked exactly as described. Just installed the EL13, works great. I took the bracket off the old signal (ground of the rivet) and mounted it upside down on the on the flasher. That way the bulky wires and relay plug are tucked up under the dash, don't hang down as well as keeps the relay in place. FYI be careful not to go by the wire color on the relay base plug. Mine had the identical colors but in different positions. 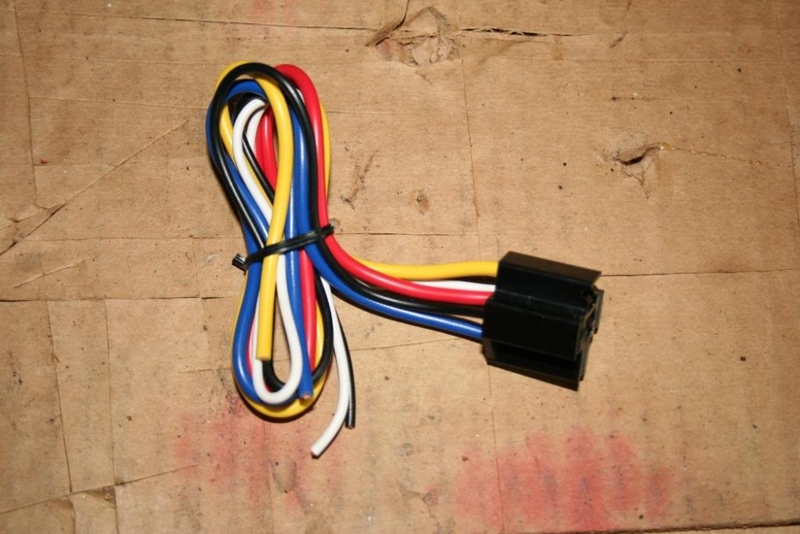 It took me 6 different units until I found this one that actually works both Turn Signals and the Dash Indicator light. My OE flasher wasn't doing its job, so I took the cover off and cleaned these contacts, using the back side of some sand paper. You can see the black crud that came off. It appears to be working as it should again. I feel like I got lucky. This might be one last thing to try, before tossing it in the neighbor's pool. Thanks from one more person. After switching to LEDs, this was just the trick to get the dash light working again.